Welcome to the world of Location. We have been talking about Location as an important attribute in mobile apps today. Business people and Developers are talking about it. Have you ever thought as to how a testing of apps based on location can be done? Let us talk about it. Location is place or point that something is at on this earth. Each point on this earth is identified by two data points – Latitude and Longitude. There are more attributes to Location but these two are the core. A location provider provides current location of the device to the applications running in the device. Types of Location Provider – There are three Location Providers – GPS Provider, Network Provider and Passive. GPS – This provider determines location using satellites. 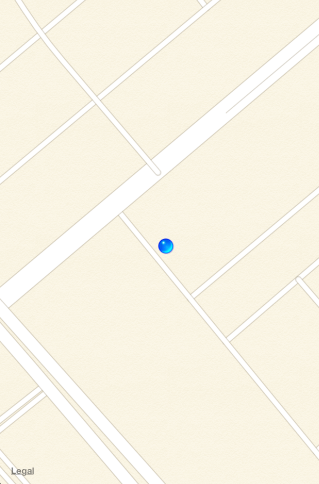 Depending on conditions, this provider may take a while to return a location fix. Network – This provider determines location based on availability of cell tower and WiFi access points. Results are retrieved by means of a network lookup. Passive – A special location provider for receiving locations without actually initiating a location fix.This provider will return locations generated by other providers. Situation – Let us study with an example on how to track delivery of goods. Suppose a truck having goods moving along a road has to deliver goods to retail shops in the city. 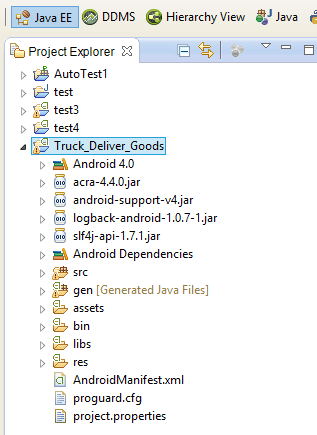 Truck driver is carrying a mobile device and an application. A Route is provided that carries address and location of retailers on that route and this data is provided to the application. Application gets the current location from Location Provider and compares the proximity of location of retailers with current location. If distance between current location and retailer location is within range then that retailer is marked as visited. Test Case – User goes on the route with this application and application marks the retailers addresses on the route correctly. 1. Physically go on that route and test. 2. Emulate that user is moving on that route while physically elsewhere. Before we take a deep dive, let us understand concept of Location file formats – KML and GPX. creator="Created by Google My Tracks on Android." There are few tools available to generate GPX / KML files. See the Section (Tools) for more details. 1. Generate the file – First of all generate KML / GPX file of a route as described above. 2. 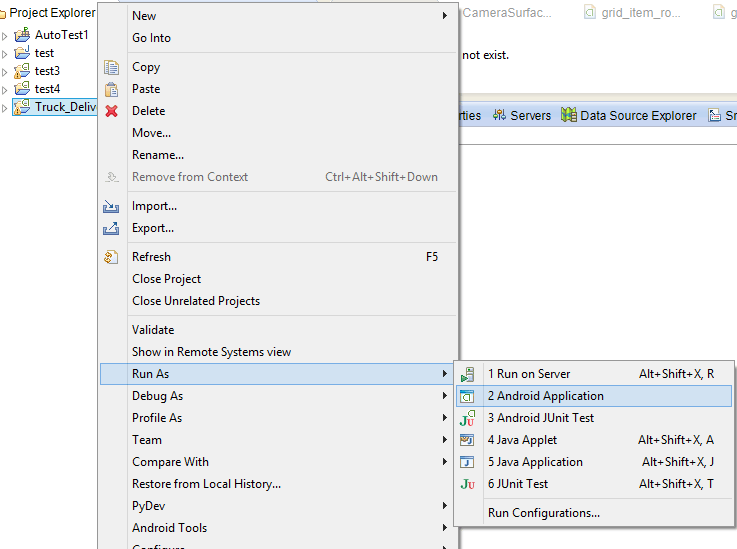 Run generated file in Emulator – KML / GPX File will be played inside Emulator Control of DDMS perspective of Eclipse (with ADT Plugin). Following are the Steps on how to play KML or GPX file in Emulator. Step 3 –> Create AVD / Emulator. Step 9 –> To Play GPX File, Select GPX file and click Play button at the bottom. You will see a point move on the Map. Similarly you can load KML files. See the results of the Test in your application. 1. Generate the file – There is different GPX file format that is to be played on iOS simulator. For details please follow ‘RunKeeper’ tool below and generate GPX file of route. It will ask you to choose/add your GPX file. 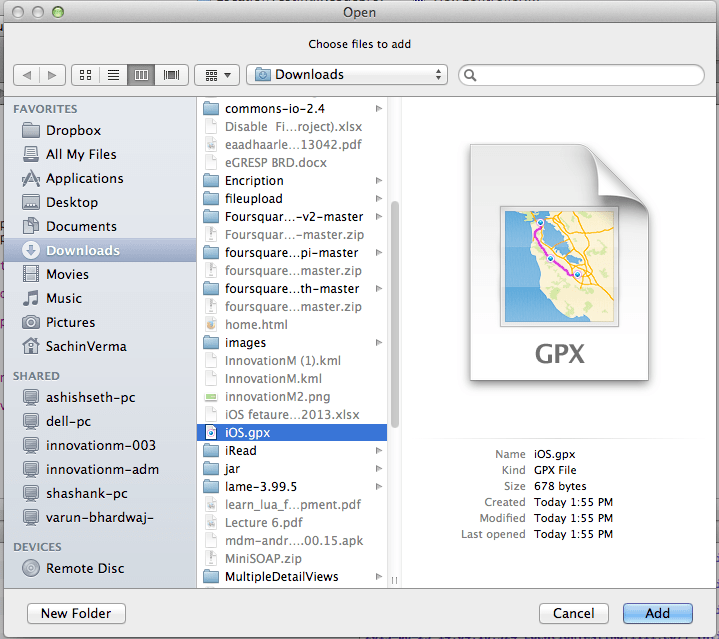 After adding GPX file, you can select Location icon in xCode and click your GPX file name . 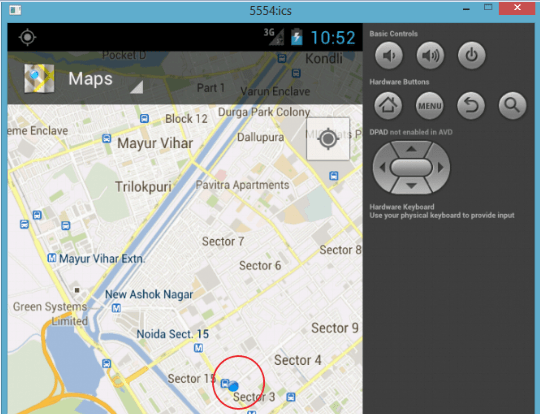 It is an Android application useful for creating KML, GPX file. 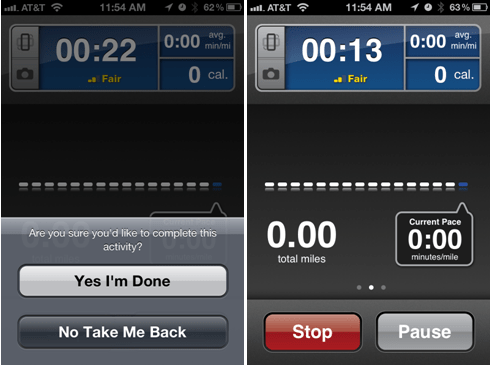 My Tracks records your path, speed, distance, and elevation while you walk, run, bike, or do anything else outdoors. You can download My Tracks from Google Play. Usage – Somebody can physically record the path by actually moving on that Good Delivery Route and generate the File for Testing team. Usage – If you know the Coordinates (Latitude and Longitude) of the points on the Path then you can generate KML file. You can visually see the path / route on Google Earth. Ex. You can have a Delivery Route KML file & the Actual KML file that was played and see the points on Google Earth. 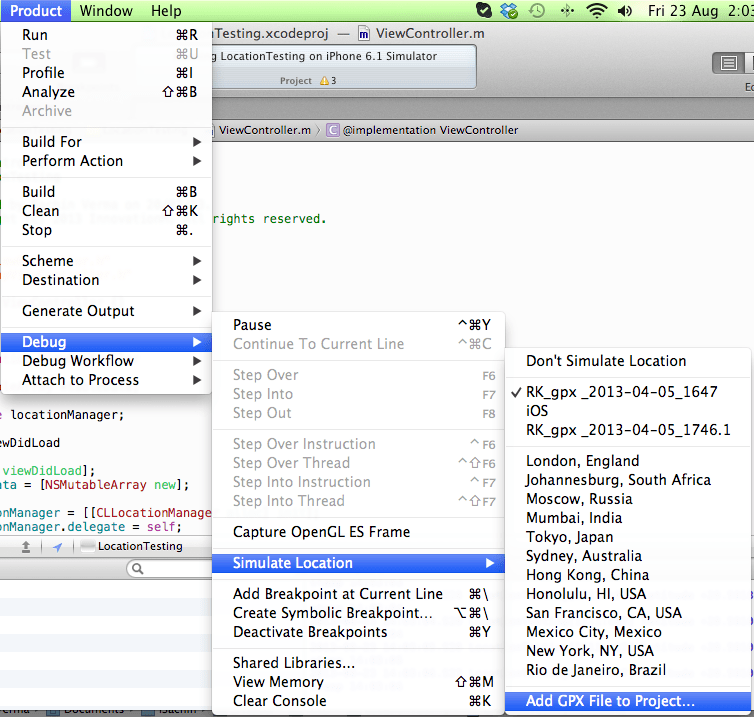 This application generate GPX file that is to be played on iOS simulator. Follow below steps to generate GPX file. 1. 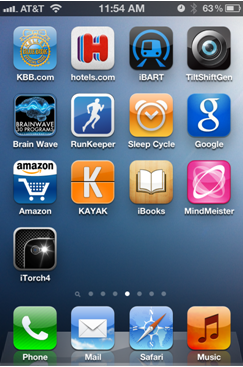 Download ‘RunKeeper’ app from the app store, and run it. 2. 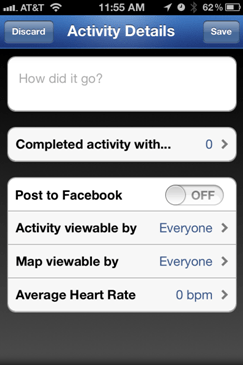 After sign up for the app, you can start capturing GPS log. Press ‘Start Activity’ and walk around under an open sky. 4. 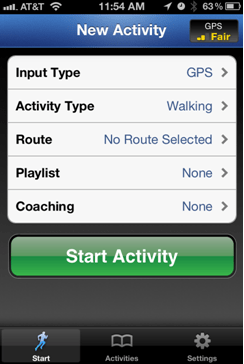 Hit ‘Save’ to transfer GPS data to RunKeeper website. After downloading GPX file, the GPX file format looks like this. This GPX format can’t be played on iOS simulator. We have to do some modification so that it can be play on iOS simulator. Remove all of <trk> and <trkseg> from the files (Find and delete it). Press ALT+Command+F, and replace tag ‘trkpt’ into ‘wpt’.